In a large bowl, combine flour, salt, baking powder, and baking soda. Using a pastry blender, cut in butter until mixture is crumbly. In a small bowl, combine warm water and yeast, stirring to dissolve. Add sugar, stirring to dissolve. Let mixture stand for 5 minutes or until foamy. Add to flour mixture. Gradually add buttermilk, stirring to combine. Dough will be sticky. Cover and refrigerate overnight. Spray a large baking sheet with nonstick cooking spray. On a lightly floured surface, turn out dough, and pat to ¾ inch thickness. Using a 2 ½ inch round cutter, cut dough, re rolling scraps as needed. 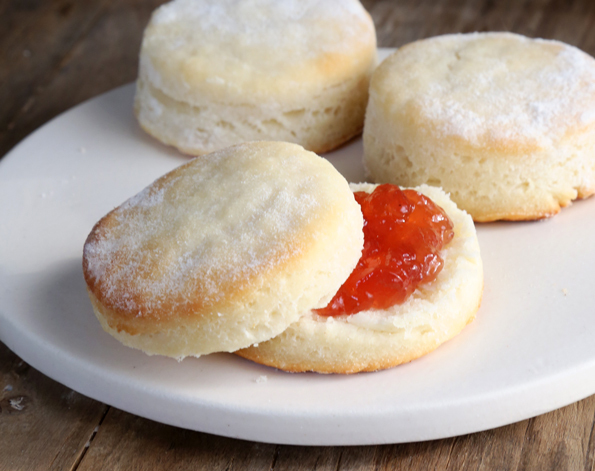 Place biscuits on prepared pan, and let stand at room temperature for 2 to 2 ½ hours or until doubled in size. Preheat oven to 425 degree. 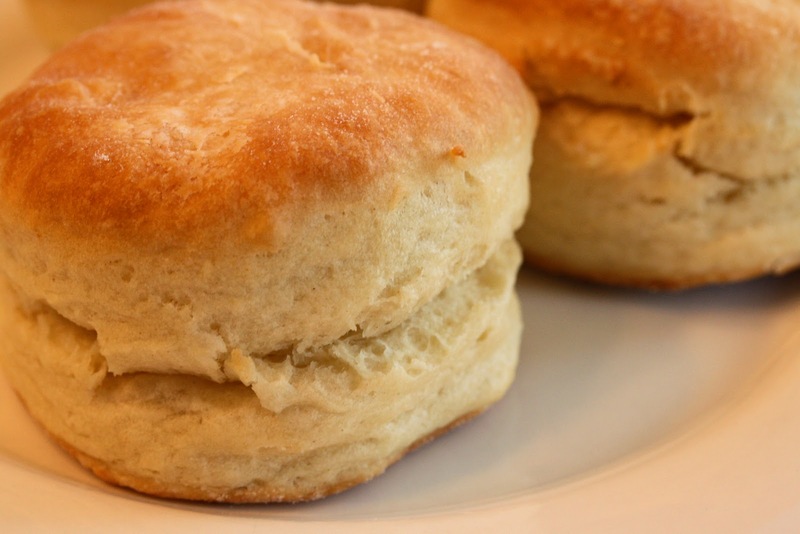 Bake biscuits for 10 minutes or until golden brown. Serve warm. End.